The Great Britain Women's American Football Team has always been elevated by those around them. Whether that be the supporters, club-level team mates, members of the British American Football Association, or Partners. This May Day Bank Holiday Weekend we ask for the British Football community to come together again. We're seeking your sponsorship! Members of the British American Football community are coming together from clubs around the Country to cycle, run, and even lift (1km=100kg!) 8,707km; the distance from Granada to Vancouver. A significant distance. Granada was where the Great Britain Women won a Silver Medal at the 2015 European Championships, earning respect and support at home and abroad. 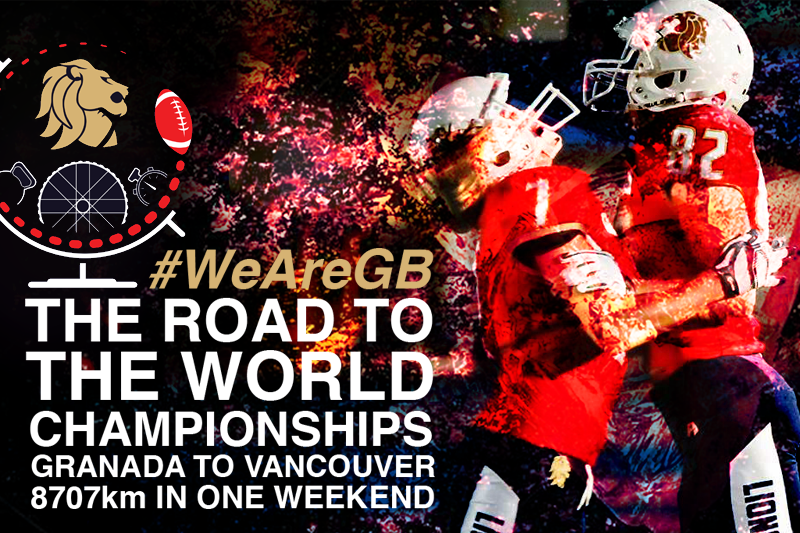 This year we want them to go one step further and compete on the World stage - being the first ever Great Britain American Football team to compete at a World Championships; an incredible feat for a team just four years old. In June, the Great Britain Women plan to fly to Vancouver, Canada, as the second-best team in Europe. Despite an incredibly generous contribution from the British American Football Association, we still have to raise a significant amount of money to help them make the trip. That's where you come in... All money donated will go towards the cost of flights, accommodation and travel expenses of players, coaches and staff. In addition, your donation will also go towards training camp costs, football and physio equipment. 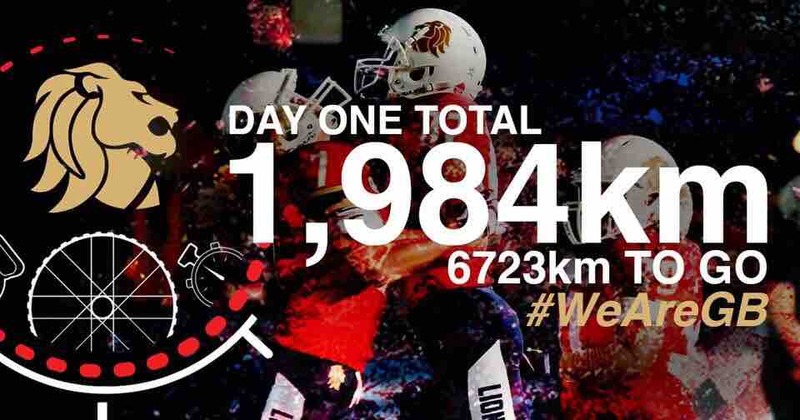 12,504kms covered and over 55k people reached in a few short day! You’re totally amazing!! Thanks to everyone across Great Britain who took part, supported us, pledged donations and publicised the event this weekend. We set a difficult target of 8707kms to cover and you utterly smashed it to pieces. 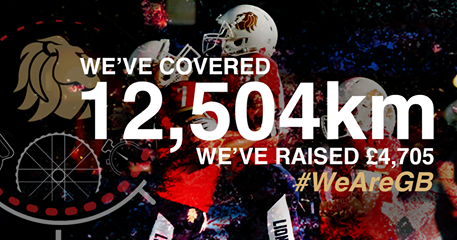 There’s a lot more fundraising and sponsorship winning to do, but we couldn’t have dreamt of a better start. Check out the day 1 total distance covered! The big weekend is almost here and already you’ve generously supported us to the tune of almost £2k – that’s amazing!